The San Solomon Springs is the largest in a series of interconnected springs in the Balmorhea area. Most of the spring water comes from a large aquifer system that starts some 400 miles northwest of here. The water moves through porous limestone and along fault lines (breaks) in the earth that act like pipes. Rains in the nearby Davis Mountains also feed the aquifer. San Solomon Springs currently flows at a rate of about 15 million gallons per day. It could fill over 300,000 bathtubs! The water is the same temperature as the rocks through which it moves – between 72 and 76 F year-round. Cienega: Originally the springs emptied into a large natural cienega, or desert wetland. The construction of the pool in the 1930s destroyed the natural cienega. Today, two man-made cienegas support fish, birds and other animals. 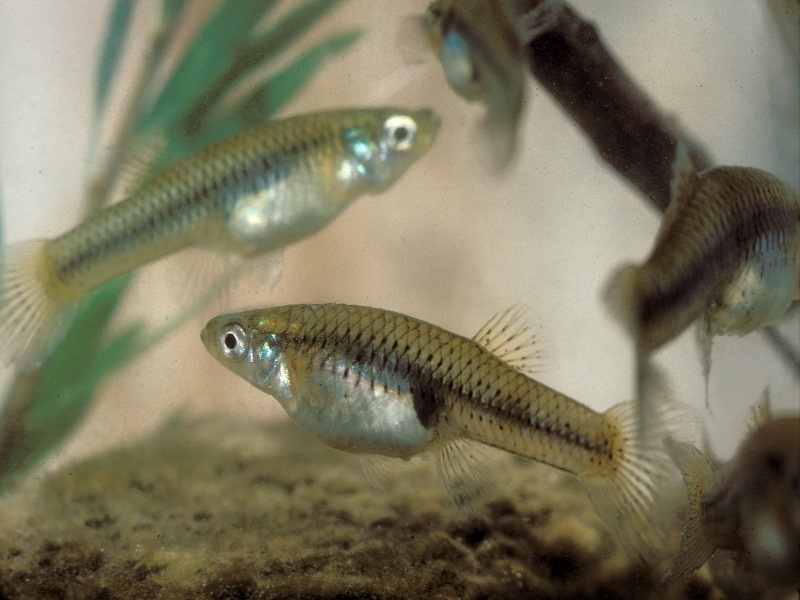 This desert wetland is home to many species, including two small, endangered desert fishes: the Pecos gambusia and the Comanche Springs pupfish. Pupfish only live here, and rely on the springs and canals for survival. A pure genetic strain of the headwater catfish, a rare and declining species, also lives in the canals. Other animals, including birds (both residents and migrants), depend on the water and lush plants for food, water and shelter. You might see white-tailed deer, javelina, ground squirrels, turtles, lizards and dragonflies. 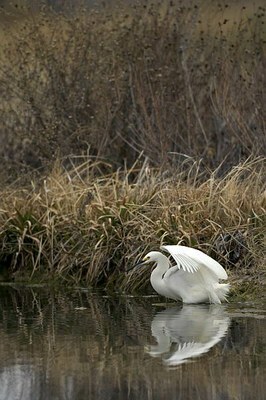 Birders will see colorful songbirds in summer and overwintering waterfowl during colder months. 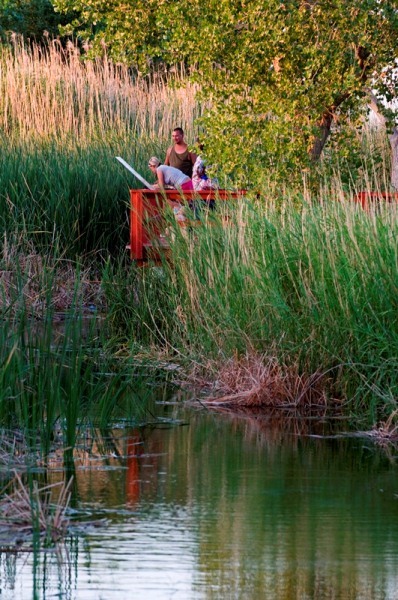 Water from the springs flows through the pool, and then drains slowly through the cattails, rushes and reeds of the cienegas. Aquatic and moisture-loving plants thrive in and along the wet edges. Away from the cienegas, in higher areas of the park, you will see shrub-invaded desert plains grasslands. These grasslands surround the Davis Mountains. In the Balmorhea area where water is available, grasslands have been converted to farm fields.